NASA successfully launched for the National Oceanic and Atmospheric Administration (NOAA) the first in a series of highly advanced geostationary weather satellites Saturday from Cape Canaveral Air Force Station in Florida. 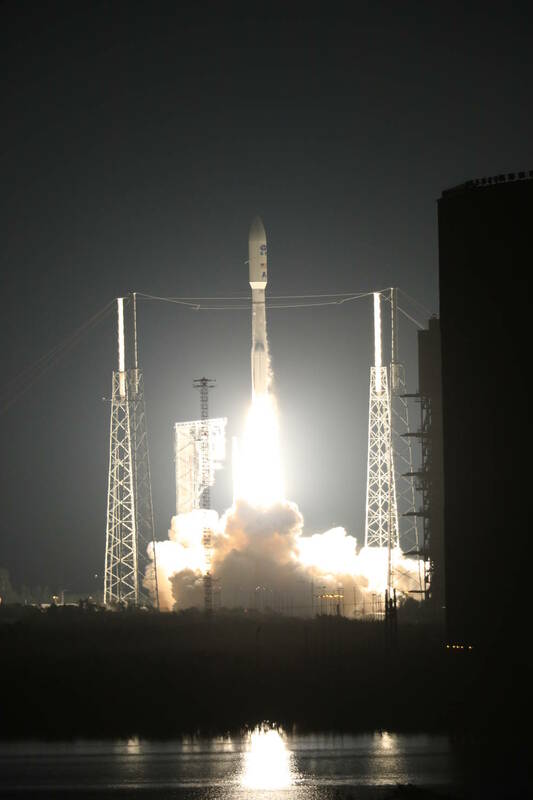 NOAA’s Geostationary Operational Environmental Satellite-R (GOES-R) lifted off at 6:42 p.m. EST on its way to boost the nation’s weather observation capabilities, leading to more accurate and timely forecasts, watches and warnings. After it reaches its final designated orbit in the next two weeks, GOES-R will be renamed GOES-16. The new satellite will become operational within a year, after undergoing a checkout and validation of its six new instruments, including the first operational lightning mapper in geostationary orbit. Forecasters will use the lightning mapper to hone in on storms that represent the greatest threats. The satellite’s primary instrument, the Advanced Baseline Imager, will provide images of Earth’s weather, oceans and environment with 16 different spectral bands, including two visible channels, four near-infrared channels, and 10 infrared channels. Improved space weather sensors on GOES-R will monitor the sun and relay crucial information to forecasters so they can issue space weather alerts and warnings. In all, data from GOES-R will result in 34 new or improved meteorological, solar and space weather products. Beyond weather forecasting, GOES-R also will be part of the Search and Rescue Satellite Aided Tracking (SARSAT) System, an international satellite-based search and rescue network operated by NOAA. The satellite is carrying a special transponder that can detect distress signals from emergency beacons. NOAA manages the GOES-R Series Program through an integrated NOAA-NASA office. NASA’s Launch Services Program, based at the agency’s Kennedy Space Center in Florida, acquired and managed the United Launch Alliance Atlas V launch service and led the countdown. NASA’s Goddard Space Flight Center in Greenbelt, Maryland, oversees the acquisition of the GOES-R series spacecraft and instruments.